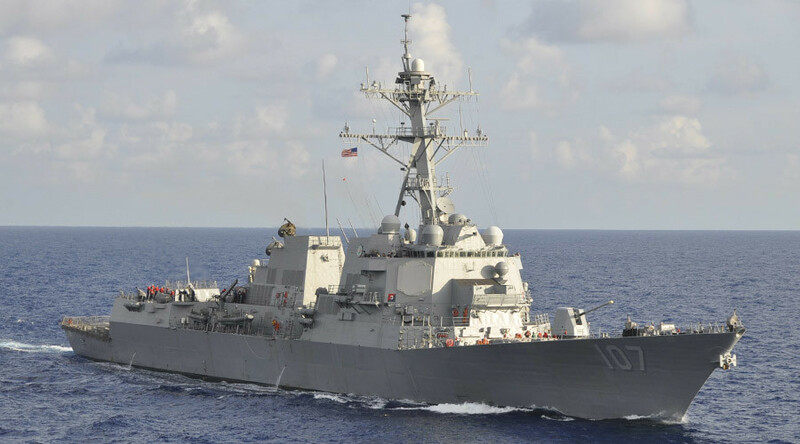 The US guided-missile destroyer Gravely breached international navigation safety rules by coming within dangerous proximity of the Yaroslav Mudry, a Russian frigate, in the eastern Mediterranean, the Russian Defense Ministry has said. The USS Gravely approached the Yaroslav Mudry, a Russian frigate, on June 17, passing across her course at a “dangerous” distance of 180 meters (55ft), the Defense Ministry said in a statement on Tuesday. The encounter occurred in international waters. The Yaroslav Mudry did not deviate from her course and refrained from engaging in dangerous maneuvering with the US warship, the ministry added. According to the statement, the warship’s captain and crew violated the International Regulations for Preventing Collisions at Sea (COLREGS), which govern the conduct of two or more vessels when they meet at sea in order to prevent dangerous situations. “The US sailors, in particular, neglected Rule 13, which stipulates that an overtaking vessel must keep out of the way of the vessel being overtaken,” the Defense Ministry said. It added that the USS Gravely had also violated Rule 15, which says that a vessel that has another vessel on the starboard side must yield and avoid crossing ahead of her. The USS Gravely is an Arleigh Burke-class guided missile destroyer capable of carrying an Aegis missile defense system. She was commissioned in 2010 and sent to her first overseas deployment in the eastern Mediterranean three years later. Yaroslav Mudry, a Russian-made Neustrashimy-class frigate, has seen service with the Russian Navy’s Baltic Fleet. She was spotted near Malta Earlier in June, reportedly heading to the eastern part of the Mediterranean to join Russia’s maritime task force off Syrian shores. Russia’s Defense Ministry later said that the plane’s crew had acted in a safe and competent manner. 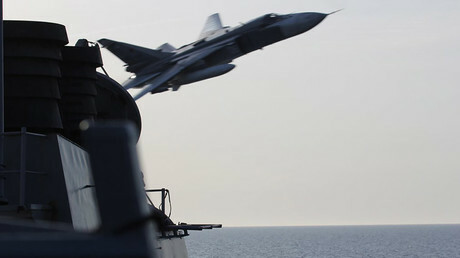 “Having located the ship in a zone of visual sight, the pilots undertook a maneuver that was in accordance with all the necessary safety rules,” Ministry of Defense spokesman Igor Konashenkov said.